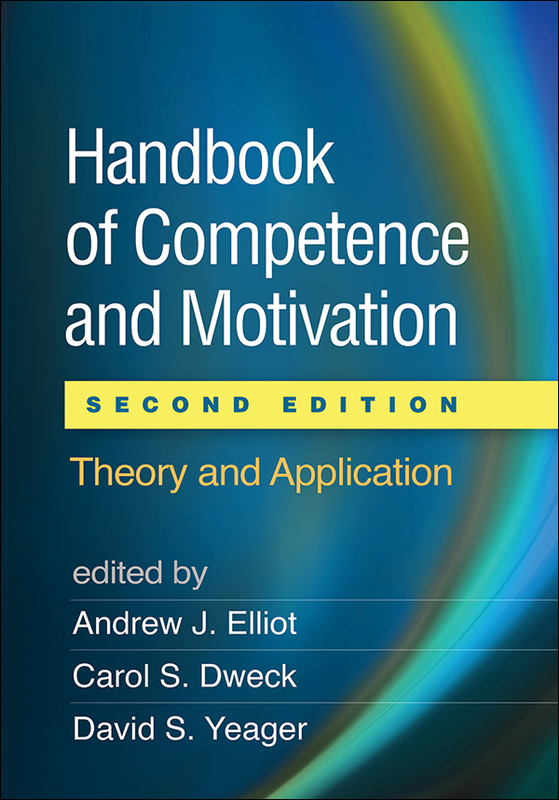 Now completely revised (over 90% new), this handbook established the concept of competence as an organizing framework for the field of achievement motivation. With an increased focus on connecting theory to application, the second edition incorporates diverse perspectives on why and how individuals are motivated to work toward competence in school, work, sports, and other settings. Leading authorities present cutting-edge findings on the psychological, sociocultural, and biological processes that shape competence motivation across development, analyzing the role of intelligence, self-regulated learning, emotions, creativity, gender and racial stereotypes, self-perceptions, achievement values, parenting practices, teacher behaviors, workplace environments, and many other factors. As a special bonus, purchasers of the second edition can download a supplemental e-book featuring several notable, highly cited chapters from the first edition. Most chapters are new, reflecting over a decade of theoretical and methodological developments. Each chapter now has an applied as well as conceptual focus, showcasing advances in intervention research. Additional topics: self-regulation in early childhood, self-determination theory, challenge and threat appraisals, performance incentives, achievement emotions, job burnout, gene-environment interactions, class-based models of competence, and the impact of social group membership. Supplemental e-book featuring selected chapters from the prior edition.